Federal Premium Mag-Shok 20 Gauge Ammo 3" 1-5/16 oz #5 Copper Plated Shot ammo for sale online at cheap discount prices with free shipping available on bulk 12 Gauge3" 1-3/4oz ammunition only at our online store TargetSportsUSA.com. 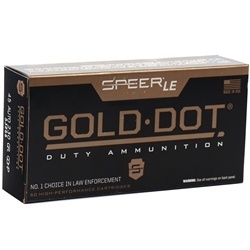 Target Sports USA carries the entire line of Federal Black Cloud ammunition for sale online with free shipping on bulk ammo including this Federal Premium Mag-Shok 20 Gauge Ammo 3" 1-5/16 oz #5 Copper Plated Shot High Velocity . Federal Premium Mag-Shok 20 Gauge Ammo 3" 1-5/16 oz #5 Copper Plated Shot review offers the following information; For nearly a century Federal Ammunition has put its focus on manufacturing quality products with cutting edge technology. This dedication to excellence has given Federal a competitive edge as an ammunition technology giant. Today the company is well known for producing high grade centerfire, rimfire, and shotshell ammunition that shooters everywhere know and trust. Bringing down a tough bird takes a tough load. 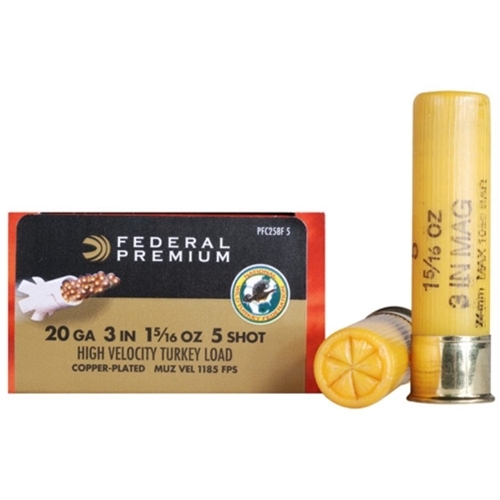 The Mag-Shok Turkey Shotshell loads provide a high level of energy along with dense patterns and excellent penetration. Unlike conventional turkey loads, the Mag-Shok loads feature the FLITECONTROL wad that opens in the rear to create an air brake that offers consistent and dense patterns. Endorsed by the a portion of the proceeds for each box of Mag-Shok load will go towards the fight to conserve wild turkeys, protect their habitat and preserve the hunting heritage. .
FLITECONTROL FLEX wad ensures dense patterns through both standard and ported turkey chokes. Buffering prevents pellet deformation for more consistent patterns.